As 2016 is closing. It’ll be known for the year of memes. One of the best memes we saw this year was of rapper Birdman and telling us “to put some respeckk on his name” and he wasn’t going to say it “No Moe.” With that being said, as the All-Star conversations continue. It is time to put some respect on John Wall’s name. Yes, the Wizards started off rocky and at times we didn’t think they were going to make it. 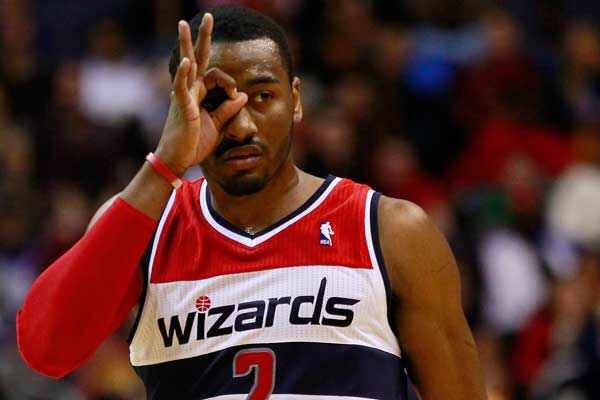 However, as of late, the Wizards have won nine (9) of their last 13 games and Wall is the major reason why. He’s averaging 25.5pts and 10.1 assists during that time frame and is playing at an All-Star level. If anyone on the Washington Wizards should get the nomination, John Wall should be in that conversation. Sometimes, it is hard to understand exactly what direction this team is going in. This is the same Wizards team that will collectively score 116pts and their star Wall chiming in 52 of those points and still somehow lose to the Orlando Magic. Less than two weeks later, this same team played the Clippers and defeated them as Bradley Beal dropped 41 points. It’s that type of inconsistency that had Wizards fans on edge. Nonetheless, this team seems to be turning things around and making a real case of being a contender. No, they haven’t proven to be a championship contender, but perhaps could make noise in the playoffs if they continue to build. In terms of All-Star, Wall’s numbers should put in in the conversation. This year the NBA has changed things around where now fans, media members, and NBA players can vote. 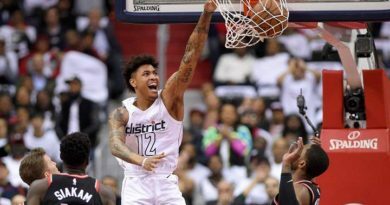 We’ve seen more and more seats being filled at Verizon Center as fans are convinced it is worth coming downtown to see the Wizards play in the cold wintry conditions. With more support from the fan base, they should support their franchise player and send him to New Orleans for All-Star. 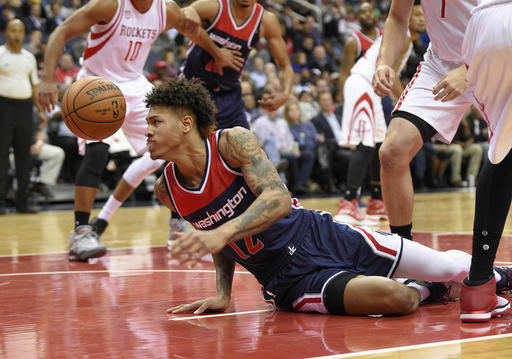 As previously stated, yes the Wizards did not start the season the way they wanted to. As they are improving, it was recently announced that the game vs Boston on January 11th will be removed from the national spot on ESPN. Wall spoke with the Washington Post and mentioned his disappointment in the decision. Wall makes a great point. How will people know that the Wizards are improving on a national level if no one ever sees them? 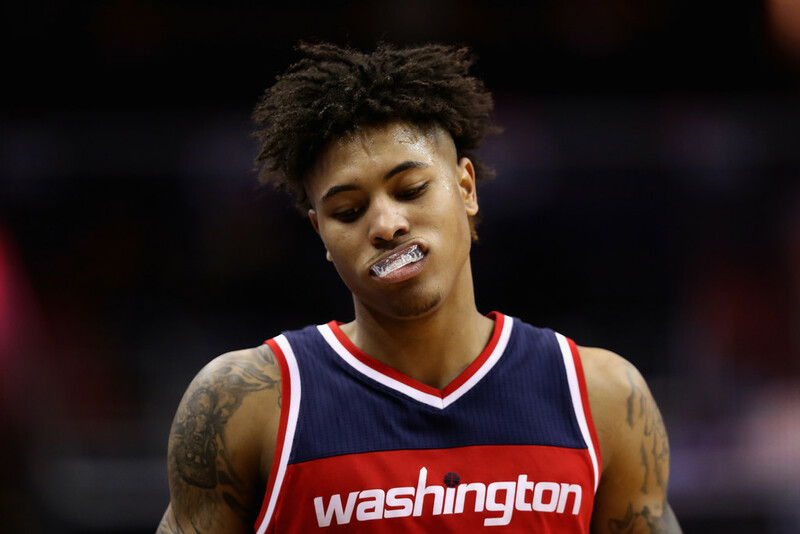 This lack of coverage could prevent him from possibly getting the bid, or could prevent his backcourt partner, Beal from getting the nod. With that all being said, it is time to put some “respectk” or “respeckk” on John Wall’s name and no I’m not going to say it “no moe'” Wall has shown he’s one of the best if not the best point guard in the Eastern Conference. His numbers alone should give him the nomination. 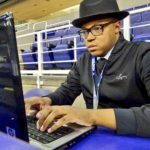 While we are putting “respeck” on people’s name, it’s worth noting that Beal is averaging 22.2 points in the last 10 games, according to ESPN.COM. So perhaps, we should put some “respeck” on his name too.